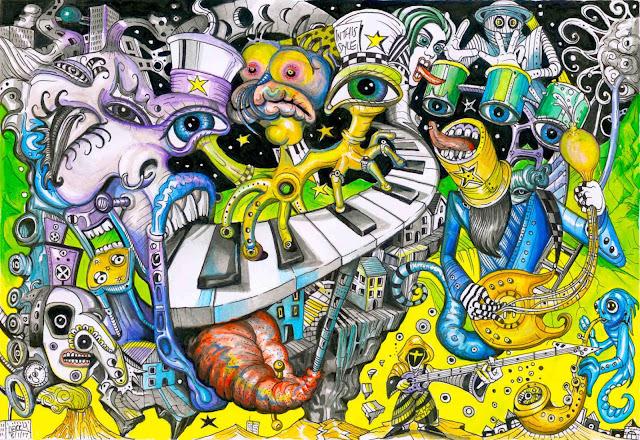 SOLD IN THIS STYLE - Original hand drawn and painted funky surreal art drawing with acrylic wash. Surrealistic art illustration inspired by George Clinton's Funkadelic Albums. Artwork on A3: 42 x 29.7cm 220 gsm white paper (not framed) Media: Ink and acrylic paint. Signed and Dated by Artist Spencer J. Derry in 2017.